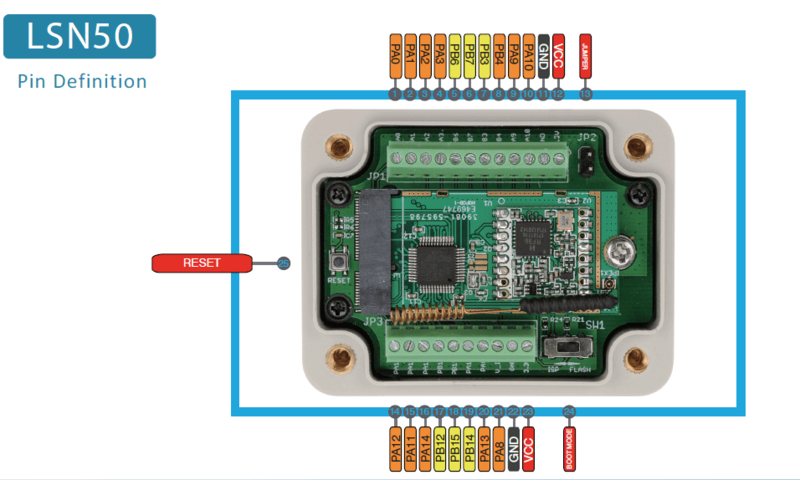 The Dragino LSN50 LoRA Sensor Node for IoT allows users to develop applications with LoraWAN connectivity via the HopeRF / SX1276/SX1278. Dragino LSN50 enables a wide diversity of applications by exploiting low-power communication, ARM® Cortex®-M0 core-based STM32L0 Series features. More information about the board can be found at the Dragino LSN50 website. Up to 84 fast I/Os, most 5 V-tolerant. Dragino LSN50 Board has GPIO controllers. These controllers are responsible for pin muxing, input/output, pull-up, etc. For detailed information about available pins please refer to Dragino LSN50 website. Dragino LSN50 board has 2 U(S)ARTs. The Zephyr console output is assigned to UART1. Default settings are 115200 8N1. Applications for the dragino_lsn50 board configuration can be built and flashed in the usual way (see Build an Application and Run an Application for more details). Dragino LSN50 board requires an external debugger.